What a photo, and what a night! Yesterday was twelve years ago to the day that Steven Gerrard’s thunderbolt almost broke the net at the Kop end to down Olympiakos. We went on to win the Champions League that season, thanks largely to the inspirational performances of our brilliant captain. 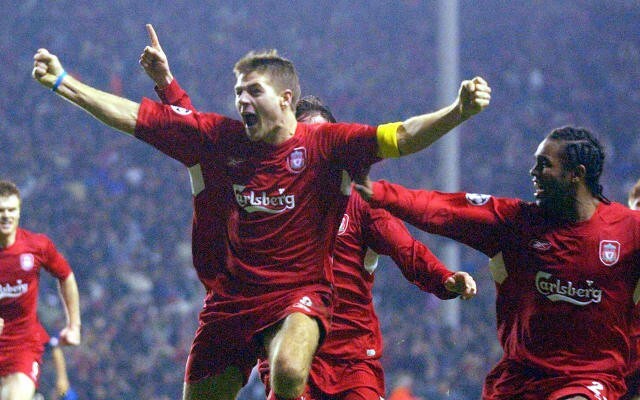 Now, Gerrard’s hung up his playing boots and is expected to rejoin Liverpool as a youth coach, but this didn’t stop him taking to Instagram to remember that brilliant December night – where he perhaps first showed us he wasn’t just going to be a great player for us – but a legendary one. ‘Best feeling ever,’ he said. You and us both, Stevie!